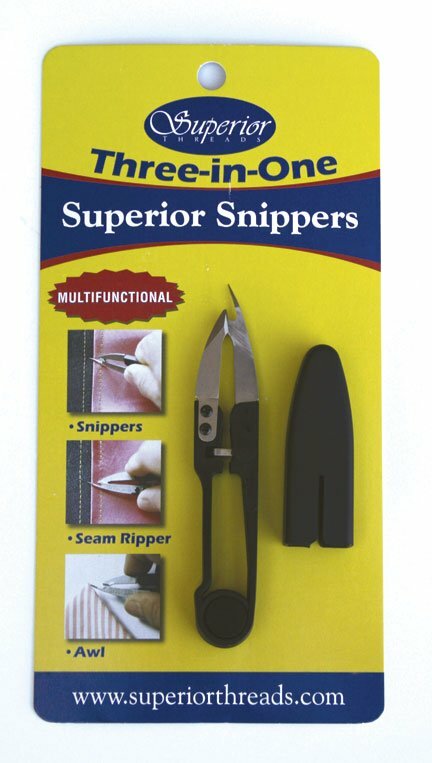 Snippers: Sharp blades clip the threads flush with the fabric. Ergonomic design prevents hand fatigue. Seam ripper: Curved tip easily picks up the thread without damaging the fabric.